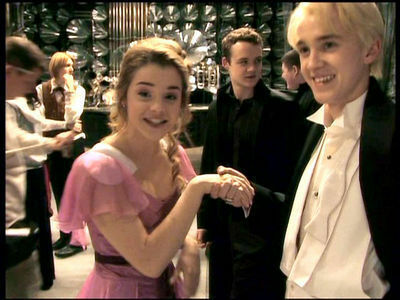 Yule Ball-Behind the Scenes. . Wallpaper and background images in the harry potter club tagged: harry potter hermione granger draco malfoy yule ball.
" . . . You filthy little Mudblood . . . ?"